Our BCM reporter was on the red carpet with Oliver Stone. The Boulder International Film Festival starts on Thursday March 3, but preproduction gets underway now. Please download and turn in your volunteer signup form email it back to Dina. We Need Help on Thursday Morning for Load In – We could use some help on Thursday loading and unloading gear and getting the production office set up at the Boulder Theater. We Need a Thursday Morning Production Crew – Do you want to have the first video out there? We need a small crew to shoot some of the set up and advance the festival before things get underway. One crew member is also helping with the event set up, but could use some production assistance. We Need Editing Stations – We’ll provide two MacBook Pros with Final Cut Pro 7. Bring your laptop editing systems if you use others. Updated NewsTeam Schedule – The crew calls will be posted here and updated as changes occur. BIFF producer Ron Bostwick interviewed Oscar nominee James Franco at the 2011 BIFF. Click on the image to join the Facebook page. Boulder Community Media (BCM) is providing production services again. BCM is putting together volunteer production crews to cover a variety of events in the various Downtown Boulder screening venues and at local businesses hosting special events during the Boulder International Film Festival (BIFF) March 2 – 5. Download the BCM volunteer agreement and email it back to BCM. We’re also seeking a producer to coordinate cast and NewsTeam crews throughout the weekend. This requires a three and a half day commitment with some wiggle room. Photographers must download and become familiar with the 2017 PHOTO GUIDELINES and WORKFLOW. If you’d like to be a part of the BIFF that is largely unseen and very interesting, behind the scenes experience inquire within! For the most part, you do need to have particular expertise and experience with news, but we can always use more Production Assistants willing to learn by observation and diving into a project. The schedule won’t be released until later in February, but we’re getting the word out so you can make plans around classes, work, and other commitments. Check out the BIFF News Team Production Call facebook page to keep up with the latest information. Producers – if you want to produce, you should also have at least one other skill, have at a minimum a still camera and a strong back to schlepp gear. BCM generally runs at least two crews at any given moment, which means each crew has a producer, a video camera operator, a still camera operator a reporter on camera and a reporter off camera. In most cases, our news crews will be the only ones covering these events, many are newsworthy and your stories, images and video will be pushed out to the wire. Send an email to BCM if you’d like to be a part of the action. You can also join the BIFF News Team Production Call facebook page to keep up with the latest. Click on the BolderLife logo to download a copy of the play script. The BolderLife Festival announced that the stage play “The Last Waltz” will be produced for it’s October event in Denver. The play by Alan O’Hashi was previously staged in Boulder at the Hitching Post Theater in 2011. Download a copy of the play by clicking on the BolderLife logo. Boulder Community Media (BCM) is hosting the RealD 3D Salon at the Boulder International Film Festival (BIFF) and seeking up to 6 teams of four or more cast and crew members. More teams may be added depending on demand. There is no entry fee, but teams must have a valid credit card and drivers’ license to secure the equipment that will checkout out to you for the week. Download the BCM 3D contest registration form and email it back to bvet22@yahoo.com by February 9th or bring it to the 3D workshop on Saturday to the place which will be announced later. A 3D filmmaking workshop will be held on Saturday February 9 (Place TBD) from 10am to 2pm. Participants will learn how to operate the GoPro 3D camera rigs and how to use the Cineform 3D editing software and how it interfaces with 2D editing programs.After the class, teams will have a week to finish their 7-minute 3D movies which will be screened at the BIFF on Saturday night 7pm February 16th through a RealD projection system onto the silver screen. The filmmakers will participate in a panel along with representatives from RealD and each filmmaking team who will be on hand to discuss their technologies and projects. Boulder Community Media (BCM) and GoPro Cameras are presenting a 48-hour 3D filmmaking contest in conjunction with the Boulder International Film Festival Feb 16 – 19. Teams will be using the new 3D fixed-lens camera system and the Cinemark 3D editing software. BCM seeks 10 teams who will be issued equipment and an editing software orientation prior to producing a 90-second movie. 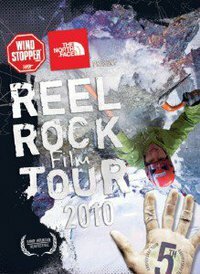 The best film will win a GoPro Hero camera and the top three will be looped on a 3D TV and viewable with RealD passive glasses at the Boulder Theater on Sunday February 19th. Editing is allowed, but think about projects with no dialogue – unless it is voice over of recorded separately. The on board microphones are covered up in a plastic housing. The projects will be shot entirely in Downtown Boulder and teams will be issued a list of elements that must be included in the movie. The camera system is very user friendly and has a fixed focus fish eye lens so there are lots of possibilities for interesting story telling. BCM and GoProeEmployees, contractors and volunteers are eligible to take part in the contest, but ineligible to win the prize. Crews with members younger than 18-years of age must be accompanied by an adult. Teams must have a valid drivers license and credit card to check out the equipment, which must be returned when the movie is returned on the provided flash drive. The Shoot Out 24 hour filmmaking fest – Boulder! Make a movie, submit it on time and you may win $1000 for 'Best Picture'! Each film can be no longer than 7 minutes in length (including credits) and must be edited in-camera and returned to the event organizers no later than 24 hours after the start of the event. All films must include 5 of the eleven items announced at the start of the event in “The Brief.” All films are judged to come up with the Top 10 Films for the Gala Screening Event at the Nomad Theater in North Boulder on Sunday afternoon. Click on the image to check out The Shoot Out webpage! “SAWAGI! Raising a Ruckus for Japan,” a silent auction and original musical drama performance will generate funds to send clean drinking water from Boulder to Japan’s earthquake victims. ANYONE can participate from ANYWHERE, sending water and a message of inspirational hope, boosting the morale of the victims, as well as citizens throughout Japan. Click on the Sawagi! image on the left to make a suggested donation for tickets. SAWAGI! (rhymes with “a froggy!”) will be presented at 5:30 pm, Tuesday, April 26…, at Naropa University, Nalanda Events Center, Boulder, Colorado. Suggested donations for tickets are $35/$20 Students. You can attend in spirit by not drinking bottled water for a month and donating the money saved (or some ideal amount) to the cause! Auction items and more information can be found at www.naropa.edu/japanbenefit/. Fundraising efforts for the event include ticket sales, a live silent auction and benefactor sponsorships and donations. With a fund-raising goal of $100,000, donations will are being solicited both locally and nationally. 100% of the net proceeds will go to purchase and deliver desperately needed clean water to Japan’s earthquake victims. The event will include volunteer performances by prominent Boulder artists, including the bands Shrefé (Greek/Balkan) and Ginga (Brazilian), Ty Burhoe (tablas), Yoko Hiraoka (Japanese strings and voice) and others in an original musical drama created along the lines of Japan’s classical Noh Theater by international shakuhachi master Kansuke II (David Wheeler) and co-directed by international actor/director Ami Dayan. The Hitching Post Theater presents five short plays tonight, March 13th, at the Nomad Theater in North Boulder. The event begins at 630pm with music and he plays begin at 7pm. Five writers are challenged with writing a story from 830am to 1230pm. The plays are handed off to five directors and two actors per play for five hours of rehearsal before the plays are presented at 7pm. Alan O’Hashi was one of the March playwrights. Check out his work entitled “PRT Woman” which was inspired by Michael Conti by clicking on the Hitching Post Theater snapshots. BCM reporter Brooke Cummings visits with Oscar-winning filmmaker Oliver Stone on the red carpet. Videographer Brett Thurlow catches the action. Boulder Community Media (BCM) provided curtain-to-curtain coverage of the 7th Boulder International Film Festival (BIFF). Click on the image of BCM reporter Brooke Cummings with Oliver Stone to view the BIFF videos. A crew of 26 covered 16 events at the Boulder Theater, Boulder Public Library and the United Methodist Church Feb. 17 – 20. BCM collaborated with the film classes at Fairview High School and the University of Colorado – Boulder Broadcast Journalism classes. BCM video content was shot, edited and made available to the public via the BIFF website, the BCM website and on the Anvil T-shirt Quick Response (QR) Code website. Boulder Community Media (BCM) is co-sponsoring the prAna monthly Movie Night @ 7pm on January 21st, 2011. Check out the event on facebook. Free popcorn and Avery Beer!! Thank you Avery Brewery for Co-Sponsoring this event! Thank you Sender Films for Co-Sponsoring this event!